You know the daily rushing about in the morning. Making sure teeth are brushed, faces are washed, and sneakers are on. We are ALWAYS looking for a healthy snack that the kids can bring to school. But so many snacks can be messy and just not backpack friendly. 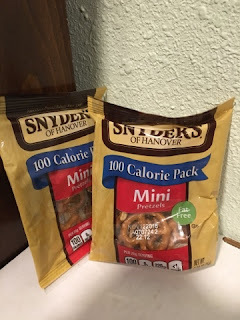 We were sent Snyder's of Hanover pretzels for review, and they make the perfect backpack snack. The mini bags are perfect for your child to bring to school. My kids say that it is just enough of a snack to tide them over to lunch (and they still eat lunch). They love the great pretzel taste AND they were approved by the teacher as a "healthy" snack. There are so many requirements for our snacks that we send to school, and we are thrilled to find one that makes both the teachers AND the kids happy. At home, we have been enjoying these Sourdough Nibblers. I love them with a side of each with dipping, and my oldest loves them with a little hummus. They are good just by themselves as well. We can't wait to try the Snaps next! 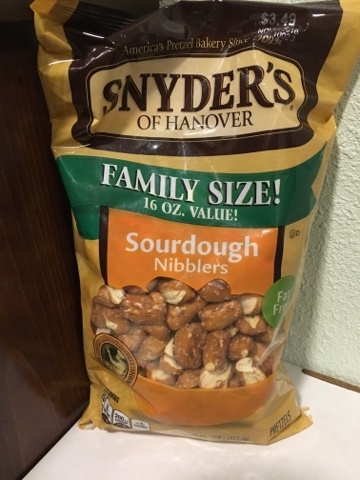 MamaBreak received pretzels to review here on the website. We did not receive any other type of compensation. As always, our experiences and opinions are our own.